M-N-Kappa is a free online moment curvature calculation tool. Try M-N-Kappa calculation tool here! It is based on the moment curvature analysis method, which is used to determine the load-deformation behaviour of concrete sections based on non linear material stress-strain relationships. 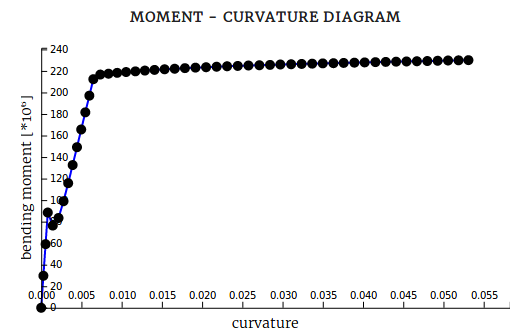 An example of a moment curvature diagram is shown below. Example of a moment curvature diagram.